Welcome to ashland homes real estate inc.
Ashland Homes Real Estate, Inc. welcomes you to Southern Oregon, where soaring mountains descend into lush valleys and the high desert gives way to Crater Lake, the deepest lake in the country. Your real estate and living options here are as varied as the scenery and we look forward to helping you discover the region's myriad possibilities. Ashland Homes Real Estate is a team of full-time and fully committed Brokers with in-depth knowledge of the local market and a wide range of experience in various aspects of real estate. Whether you're buying an Ashland home for sale, selling your property, or relocating to the area, we stand ready to provide the highest level of service that you need. to ashland homes real estate inc.
Ashland Homes Brokers have been representing buyers and sellers of residential, rural, commercial, income and exchange properties throughout Southern Oregon for more than 20 years. When you ask us for help and advice with Ashland properties for sale or real estate in nearby areas, you can trust us to know what we're talking about. As residents and proud members of the community, our expertise in the Southern Oregon and Ashland real estate market stems as much from the insights born out of years of living here as it does from our commitment to customer service, innovation and keeping up-to-date with market trends. Thank you for visiting our site. We invite you to explore our pages, browse through our listings and learn more about Ashland and Southern Oregon. 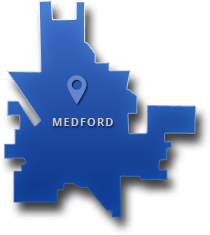 When you're ready to talk, you will find our office located in the heart of downtown Ashland. We hope to see you there soon.